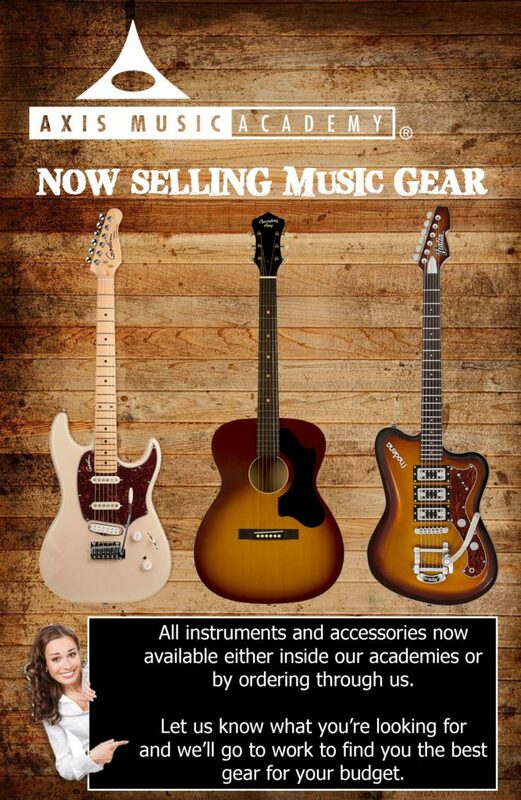 As an added benefit to our students, we have become licensed dealers for music gear distributors. Shipments have begun to arrive as we’ll be selling guitars, bass guitars, ukuleles, keyboards, drums, and music accessories. We are also able to order gear that will not be carried in our academies. December Special: Buy an instrument (min. $100) and get a FREE 30 minute lesson!